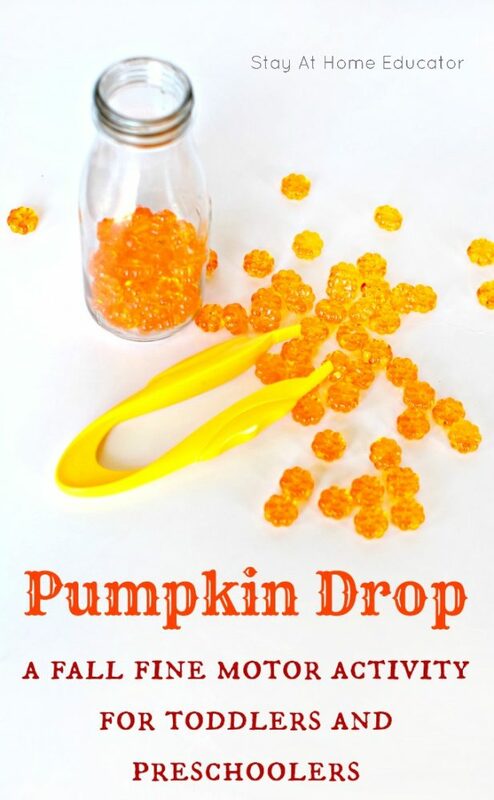 Pumpkin Drop is just one of many fun autumn fine motor activities perfect for toddlers and preschoolers who need encouragement and practice using the pincher grasp. 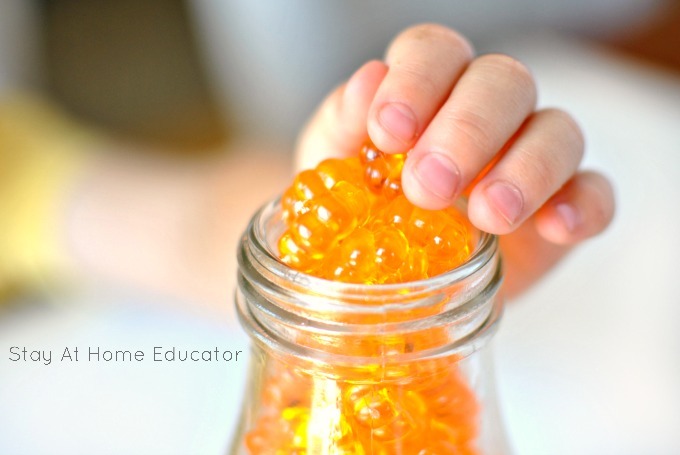 Be sure to read to the end of this post to find 21 other amazing fall fine motor activities. Pumpkin Drop is an autumn fine motor activity. 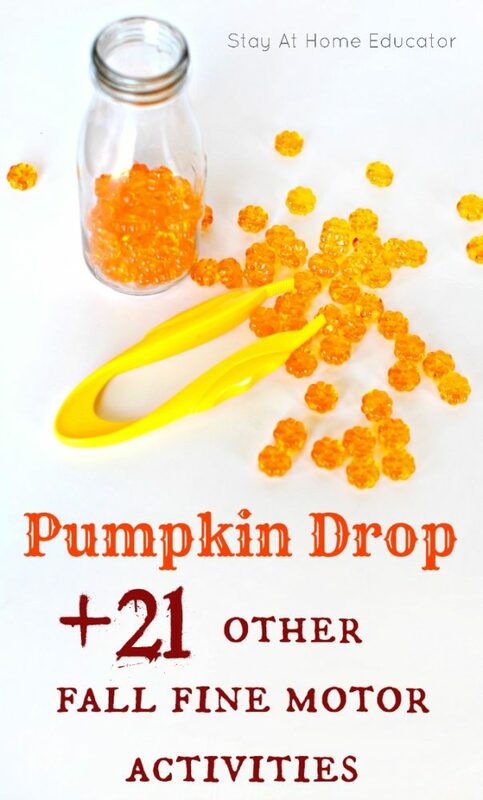 Read to the end of the post to get 21 other fall theme fine motor activities for preschoolers. Ok, I know it’s just barely September, but I just can’t hold my horses any longer. Not that I’m wishing away time, but sometimes my excitement gets the best of me. Because you see, autumn is my favorite season. I love everything about autumn. I love how the sun feels different. It’s still warm during the days, but the mornings are brisk. I love the changing colors of the leaves, the sounds they make as you walk through them, and I love how the earth brings on a kind of musky smell. Of dirt and thing drying out. I love that we stop eating healthy and light and start eating hearty, stick-to-your-ribs dishes full of squash and beans. And pumpkins, and caramel, and apples and walnuts. And all of them together, even. I love how in the autumn it’s time to break out the light sweaters and knit tights. And boots. Who doesn’t love to wear a great boot? I even start to love plaid this time of year and dare I say that I have a few flannel button-downs that are just so cozy? Now, I’m not forgetting my kids, either. There is a subtle joy that comes with sending my kids back to school, mostly because I adore those cute faces so much more when they arrive home each afternoon. But they love autumn, too, and are simply fascinated by the changing earth as they relish the last of the warm days before winter finally approaches. They love the hay bail tractor rides, jumping in (and even raking) leaves, and carving pumpkins. They love the gourds and Indian corn and the smell of cinnamon in their morning oatmeal. They, too, enjoy all the wonderful things fall has to offer us. So, yes, it is just barely September, but can you blame me? In my house, we wish for this season to last as long as possible, even if September here is still basically summer. So maybe we start celebrating a little early and continue a little late because we do love it so. And, yes, that means we start our autumn themed activities a little earlier than most, too. Get my full list of autumn theme preschool activities here. As a teacher, I also love all the fun manipulatives that can be found around fall. 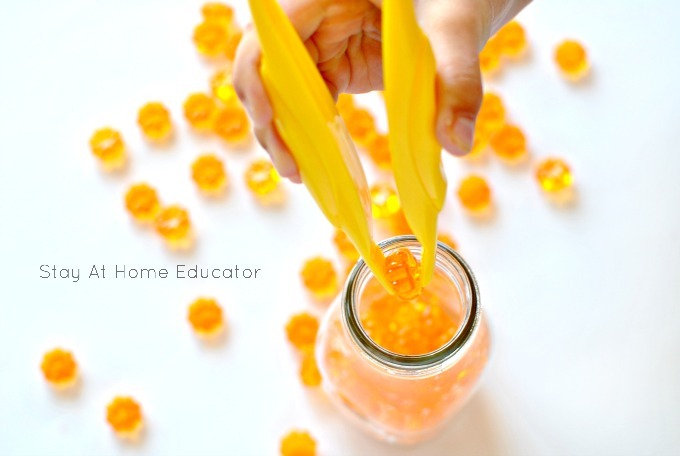 The acrylic pumpkins in this activity never get old, especially since they make the most delightful sound as they clink into the bottom of the glass jar. 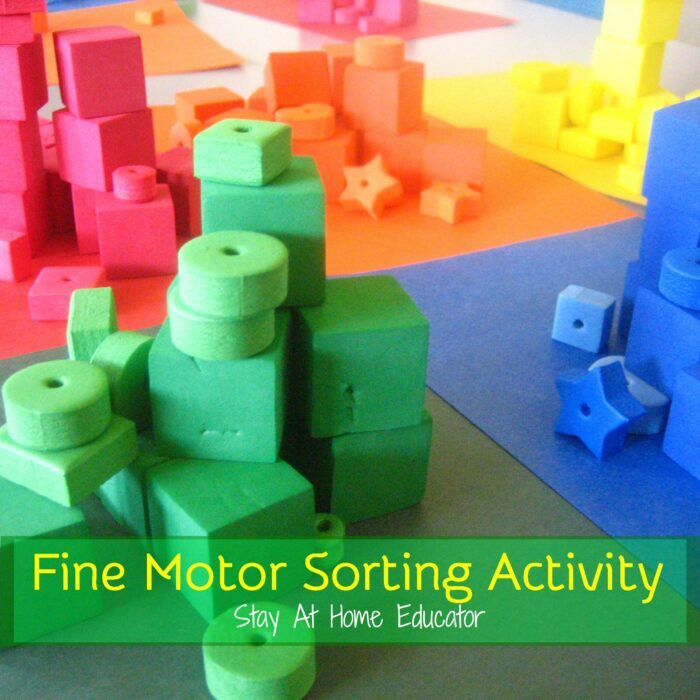 It’s like a fine motor activity and a sensory activity all rolled into one. 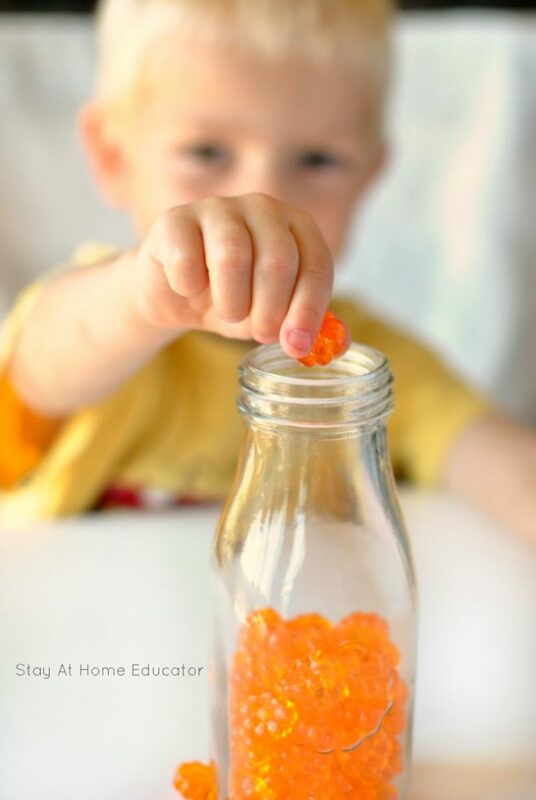 Now, you can extend this activity by turning it into an autumn counting game, or even a letter game, but mostly I just wanted to give my preschooler son (just barely three) and his little brother (just about two) an opportunity to have some autumn fine motor fun. Just a little time to enjoy some autumn fine motor activities. Place the milk jar and tweezers on a tray. I just poured out the acrylic pumpkins on the tray (I love these food trays to keep preschool messes contained), but you can put them in a bowl is you’d rather. The concept is simple. The preschooler or toddler simply uses the jumbo tweezers to drop the acrylic pumpkins in the glass milk jugs . Using the tweezers to pick up the acrylic pumpkins takes quite a bit of dexterity and coordination, and my three year old found it too difficult, although for my kindergartener it was just the right amount of challenge. Using the jumbo tweezers will help develop hand-strength, though, which is so important in writing development. Instead, my son opted to use his hands to drop the pumpkins into the jar, which was ok since it encouraged him to use his pincher grasp, which is needed for a mature pencil grip. This activity was great for my toddler as well. (Disclaimer – this activity does involve small parts, so please be responsible and supervise your toddler to prevent choking). While my toddler, who is not yet two, wasn’t interested in attempting the pincher grasp for this activity, it still allowed him to practice hand-eye coordination. What worked best about this activity is that, well, it was fall themed, and we have established how much my house adores all things autumn. (Have you seen these other printable autumn activities yet?) But, second, this is a fine motor activity that is great for a range of ages. My daughter, who is five, benefitted by using the tweezers, which are designed to strengthen her hands. My preschooler, who just turned three, practiced his pincher grasp, and my toddler, not yet two, practiced hand-eye coordination. Once the jar was filled to the brim, the kids experienced yet another challenge. How to very delicately pile the acrylic pumpkins on top of one another without them spilling over. But can I just say how pretty the glass milk jar looks filled with the acrylic pumpkins ? So very festive. And for someone who loves autumn as much as I do, I love sharing that enthusiasm with my kids in their play activities. Seriously. You have to try these out. (You might also like these printable autumn activities which also work on fine motor skills). 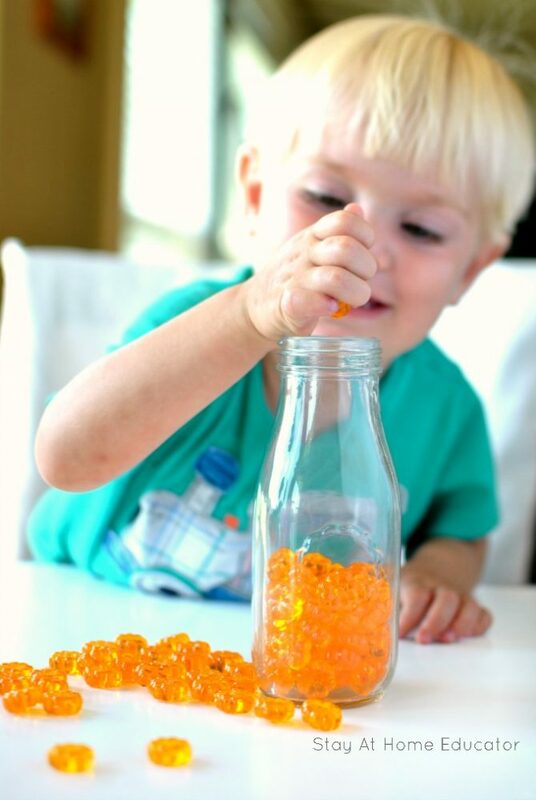 But do take a look at these other 21 autumn fine motor activities for preschoolers! By the way, if you’re not following these blogs already, you really ought to be. Talk about creative and inspiring ideas! 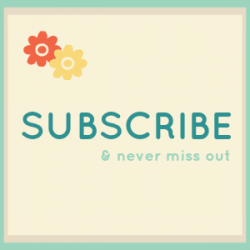 And let me just tell you that every activity below to truly unique of the one before it, so you will have no shortage of finding autumn fine motor activities for you preschoolers or toddler this fall! You created and found so many awesome activities! 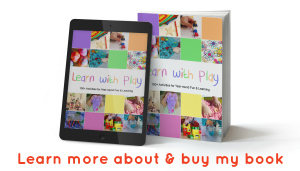 The kids will have so much fun as they practice their fine motor skills! This is such a great list! Thanks for taking the time to put it together! This is an awesome list! I love how you teach the kids to learn on their own while having fun. It’s great! I love this great tips! I should try this with my son, this is amazing! 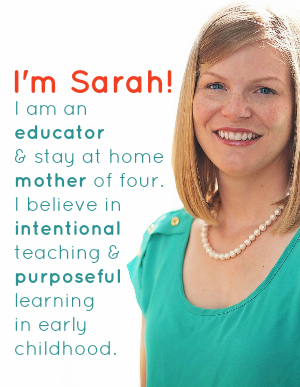 thanks for sharing this Sarah. I love it very much.